There are three basic models among Futurists and Preterists regarding the fate of those alive at Christ's return. These are 1) the Literal Rapture view; 2) the Covenantal view; and 3) the Translation/Change at Death view. In this article we will briefly survey these views and conclude that the Translation at Death view is the most scripturally defensible. I Cor. 3:12, 13 - "Now if any man build upon this foundation gold, silver, precious stones, wood, hay, stubble; every man's work shall be made manifest: for the day shall declare it, because it shall be revealed by fire; and the fire shall try every man's work of what sort it is." II Thess. 1:7-10 - "And to you who are troubled rest with us, when the Lord Jesus shall be revealed from heaven with his mighty angels, in flaming fire taking vengeance on them that know not God, and that obey not the gospel of our Lord Jesus Christ: who shall be punished with everlasting destruction from the presence of the Lord, and from the glory of his power; when he shall come to be glorified in his saints, and to be admired in all them that believe (because our testimony among you was believed) in that day." II Pet. 3:10 - "But the day of the Lord will come as a thief in the night; in the which the heavens shall pass away with a great noise, and the elements shall melt with fervent heat, the earth also and the works that are therein shall be burned up." Rev. 20:9 - "And they went up on the breadth of the earth, and compassed the camp of the saints about, and the beloved city: and fire came down from God out of heaven, and devoured them." If the fire that was to consume the wicked and their works at Christ's return was not literal, and the wicked (Jews and Romans persecuting the church) died of "natural causes" (war, famine, pestilence) resulting from God's super-mundane visitation and judgment, would it not therefore follow that the righteous also departed earth by natural causes? Why would there be a miraculous translation of the living saints if earthly life was to continue as before? Yes, why? For futurists, belief in the sudden end of the world and rapture of the living are logically and necessarily connected, for if there is no rapture, then the righteous must be consumed in the conflagration that destroys the wicked. But for Preterists, who reject the notion that earth was to end in a fiery conflagration, there is a logical gap; there is no reason provided why they should be whisked away from earth. That said, let us turn to the passages relied upon in support of a literal rapture. These include I Cor. 15:50-52; I Thess. 4:13-17; Phil. 3:21; I Jn. 3:2. I Cor. 15:50-52 - "Now this I say, brethren, that flesh and blood cannot inherit the kingdom of God; neither doth corruption inherit incorruption. Behold, I show you a mystery; We shall not all sleep, but we shall all be changed, in a moment, in the twinkling of an eye, at the last trump: for a trumpet shall sound, and the dead shall be raised incorruptible, and we shall be changed." There are three possible interpretations of this passage: 1) It teaches the actual translation of the living to heaven at Christ's return; 2) the "change" is legal and covenantal; viz., the passage is figurative; 3) the change occurs later than the general resurrection; viz., at the individual's death. My Wrong Turn into "Covenantalism"
Most Preterists reject the actual translation or rapture of the living as lacking historical support and running against their better interpretative instincts. Hence, many Preterists have sought refuge in a spiritualized view, which interprets the change "covenantally." This is the view I took for many years, but recently was forced to abandon. Faced with the language of the passage that appears to require the change of the living occur simultaneously with the general resurrection of the dead, and at a loss how otherwise to explain in what way the living then put on incorruption and immortality (v. 54), I adopted the covenantal view. Although I never accepted the covenantal view of the resurrection many fellow Preterists were teaching, the lack of alternatives regarding the "change" forced me to adopt that approach here. Specifically, I took the view that putting on immortality here was equal to justification from sin, which I supposed was in some form or manner held in abeyance during the betrothal period from the cross to AD 70, when the marriage of the Lamb and bride was consummated at Christ's coming. For some years, I had begun noticing many discrepancies in the covenantal approach as applied to other areas of eschatology. For example, the covenantal approach sees the second coming as essentially a "local" Judean event, focused on the fall of Jerusalem and the supposed termination of the Old Testament, when in fact many passages show that the Old Testament ended at the cross and Christ's coming was "world-wide" (Gk. oikumene, inhabitable earth), enveloping most of the Roman Empire. But as Christ's coming against Rome and the provinces of Europe and Asia Minor does not fit the covenantal paradigm, having no significance in terms of the change from the Old Testament to the New, this inconvenient fact, so plainly taught in scripture, is simply overlooked (Ps. 2:8, 9; 110:5, 6; Dan. 2, 7; Haggai 2:22). This and many other discrepancies caused me to question the validity of the covenantal approach as applied to the "change." After all, if it was false in other areas, why should it be true here? One of the passages that finally caused me to abandon that view entirely was Eph. 5:25-27, which teaches that the bride was washed and justified from sin during the betrothal period, so that Christ could present it to himself pure and without spot at the consummation. Obviously, if the church was washed from sin during the betrothal period, the idea that justification was held in abeyance until the consummation at AD 70 is false. Therefore, the consummation was not the point at which the New Testament came into force and sins were remitted, which actually occurred at the cross (Heb. 9:17). Rather, the consummation was the point where Christ began to co-habit with the church, having gone into a far country to receive a kingdom and return (Lk. 19:12). Jewish law treated the marriage covenant fully effective and binding upon the parties as man and wife during the betrothal period. Infidelity was punished as adultery equally before the consummation as after (Deut. 22:23, 24; Matt. 1:18, 19). In Exodus, the Old Testament came into force at Sinai, even though it was not until the tabernacle was reared a year later that God consummated the Old Testament marriage by dwelling among the Israelites (Ex. 40: 17, 34; cf. Rev. 21:2, 3). In the same way, the New Testament came into force at the cross, but it was not until A.D. 70 that Christ took up permanent habitation with the saints in the new Jerusalem (the church). Hence, the covenantal approach to the "change" is unsustainable and false, and I was compelled to abandon it. One Trumpet or Two? That is the Question! It is a basic premise of Preterism that the general, Hadean resurrection occurred in A.D. 70. The simplest most direct proofs of this proposition are Daniel 12:2, 7, and Rev. 11:2, 15-18, both of which place the resurrection at the fall of Jerusalem. Scripture teaches that the dead would be raised by the voice of the Archangel (Christ) and the trump of God (I Cor. 15:52; I Thess. 4:16; Rev. 11:2, 17; cf. Jn. 5:28; Dan. 12:1, 2). And the seventh angel sounded; and there were great voices in heaven, saying...the nations were angry and thy wrath is come, and the time of the dead, that they should be judged, and that thou shouldest give reward unto thy servants the prophets, and to the saints, and them that fear thy name. The mistranslation of the almost all English Bibles gives the impression that there is but one trumpet in I Cor. 15:52, the passage we are examining. However, the Greek allows for two trumpets. Compare the two translations below and see if this is not so. Behold, I speak a mystery to you: indeed we shall not all sleep, but we shall all be changed, in a moment, in a glance of an eye, at the last trumpet; for a trumpet will sound, and the dead will be raised in corruptible, and we shall all be changed. "We shall all be changed…at the last trumpet: for [←] the trumpet shall sound and the dead shall be raised and we shall be changed." Rev. 12:3 - "And there appeared another wonder in heaven; and behold a great red dragon. Rev. 12:4 - "And the dragon stood before the woman which was ready to be delivered." Rev. 12:7 - And there was war in heaven: Michael and his angels fought against the dragon; and the dragon fought and his angels." Rev. 13:2 - "And the dragon gave him his power, and his seat, and great authority." Rev.13:11 - "And he had two horns like a lamb, and he spake as a dragon." In the first passage we are introduced to "a dragon." Since this is the first appearance of this character, he is introduced with the indefinite article "a" ("a great red dragon"). However, all subsequent references to this dragon use the definite article "the" ("the dragon"). Thus, in Rev. 12:3, the indefinite article introduces the dragon, but in vv. 4, 7, and 13:2, the definite article is employed to show the same dragon is in view. But notice Rev. 13:11. Here the indefinite article is employed. The earth-beast looks like a lamb, but speaks like "a dragon." The absence of the definite article shows the word "dragon" in this instance does not point back to the "great red dragon" of earlier mention. The same dragon is not in view. The earth-beast speaks dragon-like generally, without reference to the great red dragon specifically. Compare this with I Cor. 15:5: the absence of the definite article shows that the same trumpet is not in view. The translators have supplied the definite article, making the trumpet that raises the dead appear to be the same trumpet that changes the living. But the Greek does not have the definite article, showing that it is not the same trumpet. "We shall all be changed…at the last trumpet…for a trumpet will sound and the dead shall be raised incorruptible, and we shall be changed (at the last trumpet that calls each us out of this world at physical death)." We have added the paraphrase at the end of the verse to help understand what we are proposing; viz., that there are two trumpets contemplated by the passage: one that raised the Hadean dead and another that calls each of us out of this world at physical death. Calls the living out of world at physical death, when they are thus changed and go to be with the Lord in heaven. In support of what we are saying, consider that the "we all" who are to be changed includes you and I who live on this side of the eschaton. There is no limitation on the last trumpet placed by Paul. Paul does not say "we who are alive when Christ returns shall be changed." That is the assumption some make, but the passage never says this at all. Why would those alive when Christ returned be wafted out of the world if the earth was not going to be destroyed? If life on earth was to continue, why limit the "change" to those alive at Christ's return? Futurists have a logical reason to limit the "change" to those alive at Christ's coming since by their view the world is to end. Preterists have no similar justification. They assume the "change" applies only to those alive at the general resurrection, but can provide no logical explanation why this should be so. Thus, Preterists who argue a literal rapture borrow the Futurist paradigm with none of the logical suppositions to support their view. In fact, what Paul says is that "we all (those who do not sleep in Hades) will be changed." "We all" includes us alive today! There is no qualifying phrase limiting this to the distant past. Has Hades been destroyed? Yes! Will we sleep in Hades? No. What then is to be our fate at death? We will be changed! If natural death marks our change, would not natural death have marked the change of those alive when Christ returned? Of course it would (to be absent from the body is to be present with the Lord, II Cor. 5:6-8). Natural death was also the way the wicked departed this world. Thus, there is no model that supposes a supernatural departure. Moreover, if the change of the righteous was preceded by the "last trumpet" calling them out of this world, will not our change be preceded by the last trumpet as well? We believe it will. Such at least is the solution we offer for the passage. I Thess. 4:16, 17 - " For the Lord himself shall descend from heaven with a shout, with the voice of the archangel, and with the trump of God; and the dead in Christ shall rise first: Then we which are alive and remain shall be caught up together with them in the clouds, to meet the Lord in the air: and so shall we ever be with the Lord." The assumption underlying this passage is that the catching up the living is contemporaneous with the resurrection of the dead. But this assumption cannot be proved. Paul says the dead would be raised first, "then" those who are alive and remain, will be caught up together with the risen dead into ethereal realms above. The word "then" shows that the catching up is subsequent to the resurrection of the dead. How long afterward cannot be determined by the passage. But if the living are changed subsequent to the trumpet that raises the dead, doesn't this prove that the trumpet that raises the dead is not the same as the "last trumpet" that marks the change of the living? Of course it does! Where I Cor. 15:51 says the resurrection and change happen simultaneously in the "twinkling of an eye," I Thess. 4:16 specifically disallows this, saying the dead would be raised "first," and only then later would the living be caught up. Unless we are prepared to argue for a "delayed reaction" that raises the dead and then shortly, sometime later changes the living, they cannot be the same trumpet! Thus, I Thess. 4:16 proves what we said before about I Cor. 15:52 and that two trumpets are contemplated by the text. But to return to I Thess. 4:16, doesn't the word "together" signify that the catching up occurs at the same time as the dead were raised? Not at all. If there was a political movement in the land and some were "caught up together" with men from other states in the movement, would that mean they all joined at the same time? Of course it wouldn't. "Together" does not signify the time of joining, but their unity in the movement itself. In the same way, being "caught up together with the dead in the clouds" does not signify unity in time, but unity in destination. The living will be caught up together with those that had gone on before, to thus meet the Lord in the air. Phil. 3:20, 21 - "For our conversation is in heaven; from whence also we look for the Saviour, the Lord Jesus Christ; who shall change our vile body, that it may be fashioned like unto his glorious body, according to the working whereby he is able even to subdue all things unto himself." This verse does not say that the change would occur at Christ's second coming. That is the assumption many make, but the passage never actually says this. In fact, the passage does not mention Christ's coming at all! It merely says that Christians look for the Savior, who will change their bodies. Will the Savior change the bodies of those who live on this side of the eschaton? Yes, of course. At what point will that change occur? Physical death. But if the our change occurs is physical death, then that is also the time at which we look for Christ our Savoir to affect the needed change, not second coming. I Jn. 3:2 - "Beloved, now are we the sons of God, and it doth not yet appear what we shall be: but we know that, when he shall appear, we shall be like him; for we shall see him as he is." Those who cite this verse as proof of a rapture assume that it describes the change of the believer's body that would occur at Christ's coming. But the passage actually says none of this. Although adoptive sons of God, the saints could only imagine the "powers of the world to come" (Heb. 6:5) that would be theirs in the resurrection. However, the power of Christ at his coming against his enemies (Jews and Romans) would show believers "what we shall be." At Jesus' appearing, they would "see" him as he is in power and glory, and thus see what was in store for themselves, for "we shall be like him" (cf. Rom. 8:29; I Tim. 6:14, 15). In other words "when he appears" is not the point at which believers would be changed, but the point at which they would gain insight into the power of resurrection life as sons of God. As always, the change follows physical death, not prevents it. A final objection to the notion of a literal rapture is the complete lack of historical support. Could hundreds of thousands of believers simply vanish from earth and no mention of it appear anywhere in history? Surely, that is asking too much. The only "gathering" of the righteous portrayed in scripture is the harvest of the saints by martyrdom under Nero (14:9, 13-16; cf. Matt. 3:12; 13:37-43; II Thes. 2:1-9; Dan. 7:21, 22). Likewise, the one passage that actually describes the saints ascending to heaven in a cloud is so plainly symbolic that not even rapture proponents use it as proof, and it too describes the persecution under Nero (Rev. 11:11). Moreover, at the resurrection, the very point we would expect to see a rapture of believers, no such image appears at all. The dead are raised from Hades, but no mention is made of a rapture in any way, shape, or from portrayed (Rev. 20:11-15). Just the opposite, the "new Jerusalem comes down out of heaven from God (Rev. 21:2, 9, 10), showing that God came down to dwell with the saints, not whisked them out of the world to live with him above (Rev. 20:11-15; cf. Jn. 17:15). The lack of historical corroboration is compounded by an abundance of testimony showing the historical continuity of the church. Where we would expect a "hole" in history had a rapture occurred, we find instead complete continuity. For example, Jesus said some of those alive during his ministry would live to see his kingdom come in power, which could hardly be the case if the church was whisked out of the world (Matt. 16:27, 28). Moreover, Jesus specifically named John as one who would live to his return (Jn. 21:22; cf. Rev. 10:11). It is clear from John's account, that many early believers thought this meant John would not die, but would be translated to heaven. However, John expressly discounts the notion he would not die, and in so doing contradicts the notion of a rapture. Jesus did not say those alive when he came would not die, he said "some of them standing here shall not taste of death until" they saw him coming in his kingdom, then they would die. Rapture theorists ignore the word "until." "After the martyrdom of James and the capture of Jerusalem which immediately followed, the story goes that those of the Apostles and of the disciples of the Lord who were still alive came together from every place with those who were, humanly speaking, of the family of the Lord, for many of them were then still alive, and they all took counsel together as to whom they ought to adjudge worthy to succeed James, and all unanimously decided that Simeon the son of Clopas, whom the scripture of the Gospel also mentions, was worthy of the throne of the diocese there. He was, so it is said, a cousin of the Savoiur, for Hegesippus relates that that Clopas was the brother of Joseph." Eusebius also gives the succession of the bishopric of Rome, naming Linus, Anencletus, and Clement as those who followed in succession after the martyrdom of Peter and Paul. Concerning the bishopric of Alexandria, Egypt, Eusebius says that in the fourth year of Domitian, Ananias died after occupying that position 22 years. Domitian acceded to the throne in September AD 81. His fourth year would have answered to the calendar year, AD 85. The 22 year bishopric of Ananias would thus have spanned AD 63-85. Why wasn't Ananias raptured, seeing he lived through the relevant period? Thus, in Jerusalem, Rome, and Alexandria we find complete historical continuity. No gaps or holes consistent with a rapture is found anywhere. And need we mention the apostle John, who was specifically named by the Lord as one who would live to see his coming? The universal testimony of the church is that, following the persecution of Nero, John lived in Ephesus until the days of Trajan, dying in ripe old age. "And all the presbyters who had been associated in Asia with John, the disciple of the Lord, bear witness to his tradition, for he remained with them until the times of Trajan." "For after the death of the tyrant he passed from the island of Patmos to Ephesus, and used also to go, when he was asked, to the neighbouring districts to the heathen, in some places to appoint bishops, in others to reconcile whole churches, and in other to ordain some one of those pointed out by the Spirit." Thus, the testimony of history accords fully with scripture that "some of those standing here shall not taste of death until they see the Son of man coming in his kingdom" (Matt. 16:27, 28). In Jerusalem, Rome, Alexandria, Ephesus, apostles, disciples, family members of the Lord survived the relevant period, providing historical continuity and contradicting the notion of a literal rapture. "Paul wanted to attain unto the resurrection of the dead (ek nekron, out of the dead) or from the among the dead as represented in the Jewish system…Phil. 3:21 deals with the resurrection of the body or the church from the Jewish body into its heavenly inheritance at the fall of Judaism." "But how was death swallowed up in victory? The answer is quite obvious. Where was death resident? 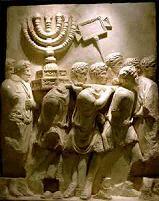 Did it not reign in the mortal or natural body of Judaism? Paul calls it the 'ministration of death.' But when that body died, and from it arose a spiritual body clothed with incorruption and immortality, death was defeated." "Paul wanted to attain unto the resurrection of the dead as represented in the Jewish system?" This is perfect folly. How can anyone ask us to take anything so absurd seriously? It insults our intelligence to put such a notion forward. Paul was crucified with Christ to the world, including especially Judaism (Gal. 6:14; cf. 2:20). He was "raised up" with Christ by repentance and baptism (Eph. 2:1, 6; Rom. 6:3-6; Col. 2:12, 13). The only resurrection Paul was looking for was the resurrection of from Hades unto eternal life (I Cor. 15:55). Moreover, Paul is writing to Gentiles living in Philippi and Corinth who had never been under the law or part of Judaism. To suggest that these men were looking for the fall of Jerusalem so they could be freed from Judaism and the law makes absolutely no sense. Besides, AD 70 was irrelevant in terms of man's reconciliation. Nothing happened in AD 70 relative to man's atonement or justification. The law terminated at the cross when the veil of sin separating man from God was "rent in twain," showing that reconciliation, atonement, and access to God had been opened by the death of Jesus (Matt. 27:51; Heb. 9:8, 10:19). No man can have two wills at one time. The new always revokes and supersedes the old. With the death of the Testator (Heb. 9:17), the Old Testament was legally nullified, and the New Testament came into force. "He taketh away the first, that he may establish the second. By the which will we are sanctified through the offering of the body of Jesus Christ once for all...For by one offering he that perfect for ever them that are sanctified" (Heb. 10:9-14). Sanctification, justification, reconciliation, atonement, and if there be any other word or phrase describing man's being set in a right position with God, all happened at the cross, not AD 70. Thus, the "covenantal" view of the resurrection and change must be rejected as hopelessly at odds with scripture. All Preterists universally admit is correct today; all concede that at death the saints now receive their immortal body and are translated to heaven. The only question is what happened at Christ's coming in AD 66-70? Was there a special rapture or covenantal change? On both counts we feel the evidence says "no." Thus, what is universally agreed to be true today must also have been true then: The translation/change came only after physical death. Of the two or three verses that appear to teach a rapture, only I Cor. 15:51 presents any real challenge. I Jn. 3:2 merely says that while it did not yet appear what resurrection life held in store for the sons of God, when Jesus appeared believers could then see the power of the world to come that they would share in the resurrection, for they would be like Jesus (cf. Rom. 8:29). I Thess. 4:16, 17 by its express terms says that the dead would be raised first, then (later) the living would be caught up together with them unto ethereal realms. "Then" shows that the catching up is subsequent in time. The only question is how long. We believe this occurs as each of us dies, and not before. I Cor. 15:51 has always been a difficult passage because the mistranslation of the text makes the "change" appear simultaneous with the resurrection of the dead, by making it appear that only one trumpet is mentioned. However, short of a "delayed reaction" in the trumpet that raises the dead in I Thess. 4:16 cannot be the same trumpet that catches the living away from earthly life. Hence, we submit that the last trumpet that calls each of us out of this world at physical death is not the same trumpet that would mark the resurrection of the Hadean dead. The Greek certainly allows for this, although our mistranslated English Bibles do not. If this is not the solution to the passage, then perhaps another solution will suggest itself at a later time. In the meanwhile, given that all Preterists agree that the saints are now changed and translated at death, we have no hesitancy in recommending to you that what is true now, was also true then. Indeed, do not Jesus' own words require it? "Verily I say unto you, there be some standing here, which shall not taste of death, till they see the Son of man coming in his kingdom" (Mat. 16:28). Some would live until Jesus' return, and then die. Could it be clearer? Of the three views of the rapture, only the "translation/change at death" model cannot be excepted to. The "covenantal" model is hopeless at odds with the cross, and the "literal rapture" view cannot be squared with history. Eusebius, Ecclesiastical History, III, xi; Loeb edition. Max R. King, The Spirit of Prophecy (1971, Warren, OH), pp. 194, 195. Max R. King, The Spirit of Prophecy (1971, Warren, OH), pp. 201, 202.